Frankfurt, 17 February 2016 – The all-new Optima Plug-in Hybrid, Kia's first ever plug-in hybrid electric vehicle, will receive its European premiere at next month's Geneva Motor Show, ahead of the car going on sale across Europe in Q4 2016. 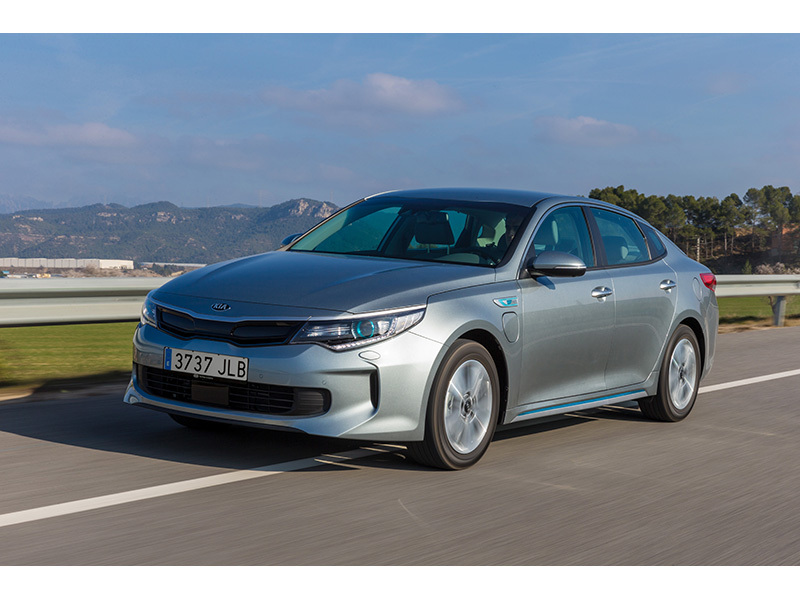 The innovative new plug-in hybrid powertrain will be a key addition to Kia's D-segment Optima line-up, as well as the company's expanding portfolio of low-emission vehicles. The all-new Optima Plug-in Hybrid provides greater battery capacity and pure electric range than earlier Optima Hybrid models, enabling drivers to travel up to 54 kilometres in zero-emissions electric-only mode before the efficient 2.0-litre GDI (gasoline direct injection) engine is required to provide propulsion. Kia's development teams are targeting combined CO2 emissions of just 37 g/km, which will ensure a low total cost of ownership for private and fleet buyers alike. Michael Cole, Chief Operating Officer, Kia Motors Europe, commented: "Hybrid sales have more than doubled in Europe over the last five years, and are estimated to account for around 700,000 new car sales in Europe by 2020. The Optima Plug-in Hybrid will allow Kia to address the growing demand for low-emissions vehicles, and support us in our mission to hit our global 2020 target: to improve average fleet fuel efficiency by 25% over 2014 levels." He added, "Our advanced new Plug-in Hybrid powertrain makes the Optima an incredibly compelling proposition for private and fleet customers. It combines attractive design, a great driving experience, low running costs and minimal environmental impact." The last-generation Kia Optima is credited with starting the brand's design-led transformation when it was launched globally in 2010. The all-new Optima marks the next stage in this transformation, with the new Plug-in Hybrid model featuring a series of visual enhancements. These changes differentiate the model from other Optima models powered by conventional internal combustion powertrains, and also improve aerodynamic efficiency.